Climbing Hydrangeas, Hydrangea petiolaris, are native to Asia and often called Japanese hydrangea vine or creeping hydrangea. These vines can grow anywhere from 30 to 80 foot tall. However, you can prune these to shorter heights. 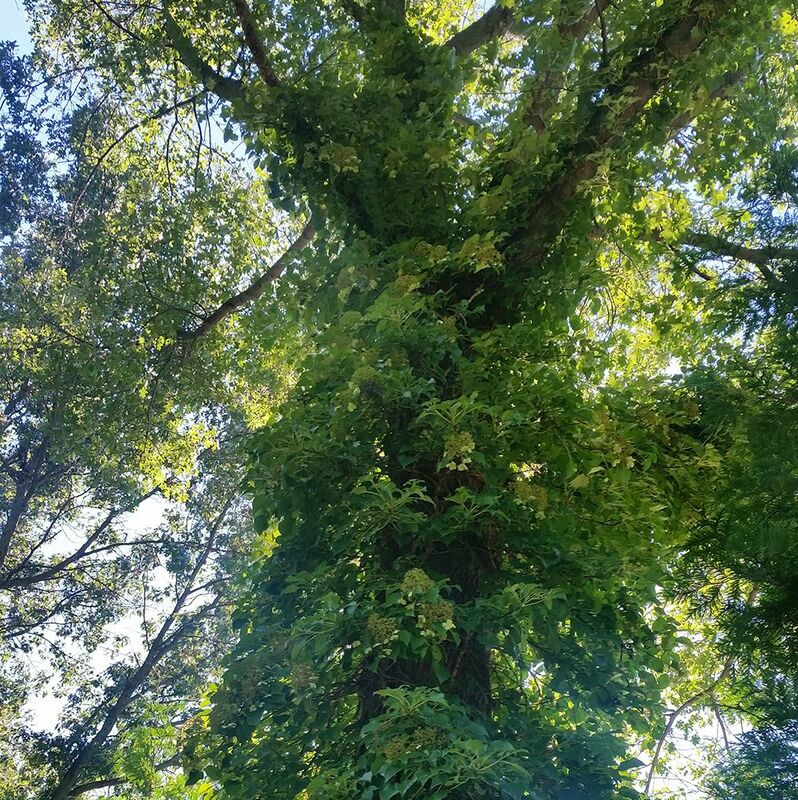 The vines require heavy support to grow, and they will climb up trees, buildings, arbors, trellises, pergolas, fences and other taller structures. The plants use "holdfasts" also known as suckers on their branches to climb walls, trees, and other structures. These plants typically bloom from late spring or early summer until late fall. The flowers are typically white and very fragrant. The flowers are covered in tiny fertile flowers surrounded by larger infertile flowers, very similar to lacecap hydrangea blooms. People also let the flowers dry out on the vines and use them in arrangements and other crafts. The leaves are medium to dark green in the summer, and turn yellow in the fall before falling. That means these plants are deciduous (meaning the plants drop the leaves in the winter). The interesting looking bark adds winter interest for this plant as well! 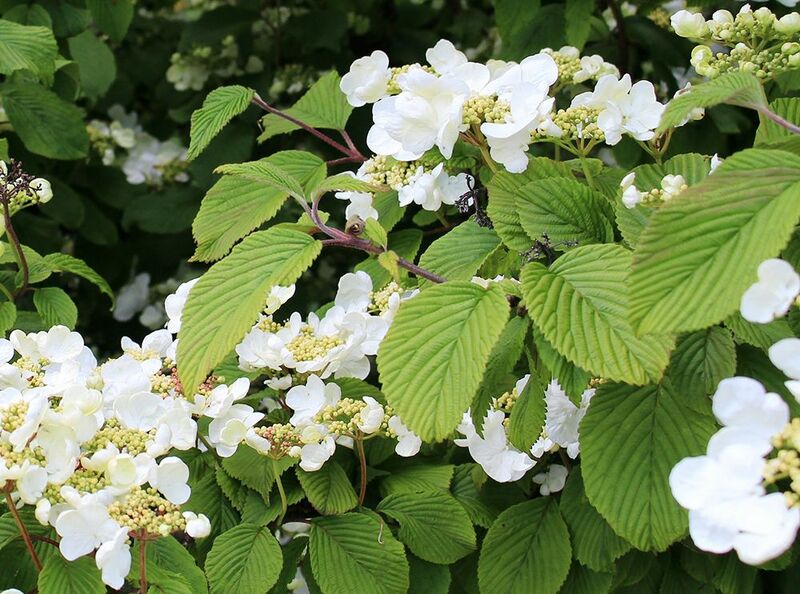 Climbing hydrangeas are cold hardy from USDA growing zones 4 to 8. Like most hydrangeas, these require moist soil, but well drained to prevent root rot. When planting, be sure to apply mulch around the base of the plant to help retain moisture. These plants can grow well in full sun to partial shade, but prefer some shade in hotter climates. The plants that get more sun, typically do bloom more. This is one of the few vines that can tolerate large amounts of shade, although it will not bloom as much if it is growing in a shaded area. Check out our hydrangea care page for more information. These plants are relatively slow growers the first few years after being planted. Unfortunately, there really isn’t much to do to speed this process up, besides starting with the largest plant possible that you can find for sale. It is not recommended that you prune these plants the first 2-3 years. However, once the plant establishes, it starts to grow quite vigorously and can easily get out of control if you don’t watch closely. It is best to prune after the plant blooms in mid-summer, that way you do not cut off the next year’s flower buds. In the spring, be sure to remove dead or sick branches. You can continue to remove these branches at any time of year. If the plant is way too overgrown, do not prune back drastically. It is best to do this in gradually over 2 to 3 years, that way you do not damage the plant beyond repair. Head over to our hydrangea pruning guide for more information.